Bob Dylan is set to deliver a massive three-part album of classic American songs called Triplicate at the end of the month, and now he's unveiled plans to bring those classic tunes across Canada this summer. 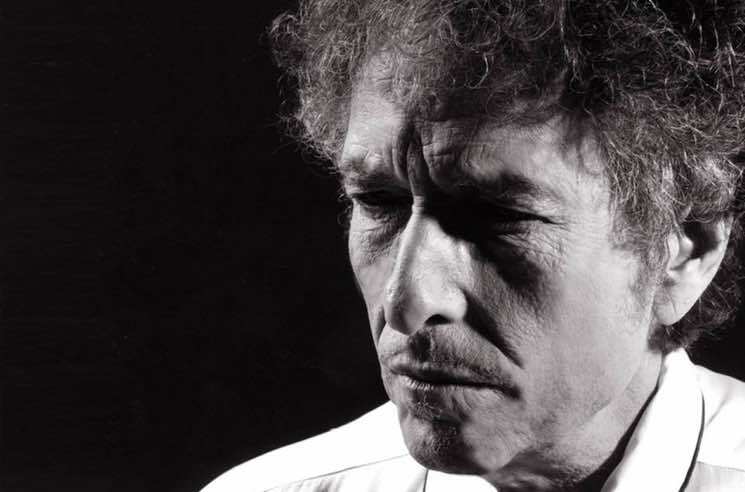 Following a European jaunt and a handful of dates in the United States, Dylan — billed as Bob Dylan and His Band — will head north for a trip through Canada. They'll play Kingston on June 27, followed by dates in Montreal, Barrie, Oshawa, Toronto and London. From there, he'll keep heading west through Winnipeg, Saskatoon, Moose Jaw, Calgary, Medicine Hat and Edmonton. Once over the BC border, Dylan and his gang will hit Dawson Creek, Prince George, Kelowna and Vancouver, before bringing his trip to a close in Victoria on July 27. See the hefty list of upcoming North American shows below; his complete worldwide itinerary can be viewed here. Tickets for all Canadian dates go on sale this Friday (March 24) at 10 a.m. local time. As previously reported, Dylan's new album Triplicate is out on March 31 through Columbia.